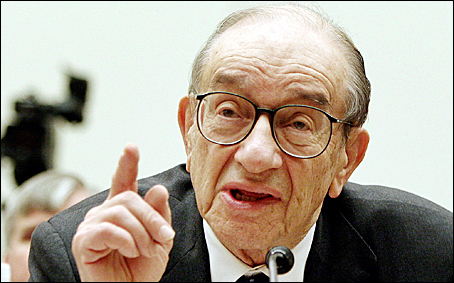 Former Federal Reserve Chairman Alan Greenspan said that illegal immigration makes a "significant" contribution to US economic growth by providing a flexible workforce. Greenspan, appearing before a Senate subcommittee, said illegal immigrants provide a "safety valve" as demand for workers rises and falls. "There is little doubt that unauthorized, that is, illegal, immigration has made a significant contribution to the growth of our economy," Greenspan said. An overhaul of US immigration laws is "badly needed" to create legal avenues for skilled and unskilled workers to enter the country legally, he said. "Our immigration laws must be reformed and brought up to date," Greenspan told the Senate Judiciary Subcommittee on Immigration, Refugees and Border Security.Congress is beginning hearings on an overhaul of US immigration policies, a legislative priority of President Barack Obama. The Senate blocked legislation in 2007 that would have given an estimated 12 million illegal immigrants a way to earn legal status and would have created a new guest-worker program, a measure supported by then-President George W Bush. Obama again endorsed an overhaul of US immigration laws during a prime-time news conference last night and said he will soon convene working groups with lawmakers "to start looking at a framework of how this legislation might be shaped." "No one is happy with our current system," New York Democrat Chuck Schumer, the subcommittee's chairman, said as the hearing began. "There is a recognition in America that the status quo is not working." "Economists generally view the overall economic benefits of this workforce as significantly outweighing the costs," he said. Greenspan also endorsed an expansion of the H-1B visa program for skilled workers that is backed by technology companies such as Microsoft Corp and Intel Corp. The 2007 legislation would have increased the size of the program to 115,000 annual visas, up from 65,000. Greenspan said US schools don't produce enough skilled workers and the gap must be filled with immigrants who have advanced degrees.